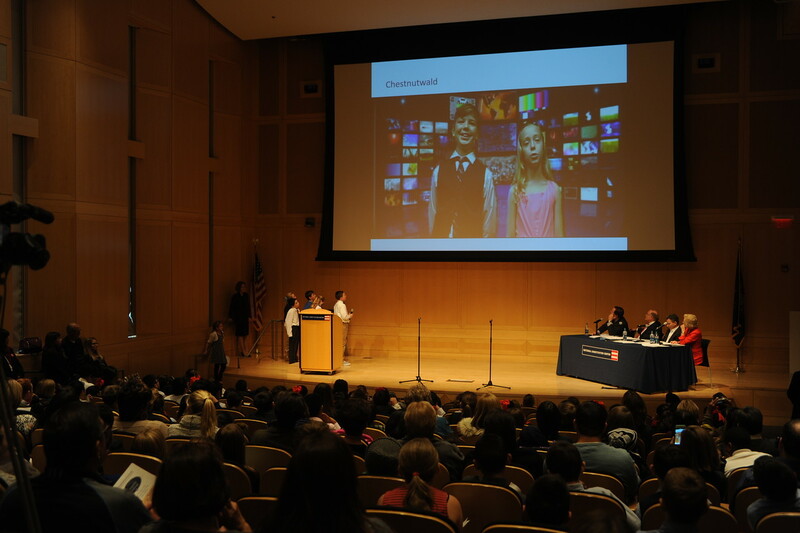 Fourth- and fifth-graders from Philadelphia-area schools presented their best cases for whether the United States should elect its president through the Electoral College at the finals of the Lenfest Citizenship Challenge, sponsored by the Rendell Center for Civics and Civic Engagement. 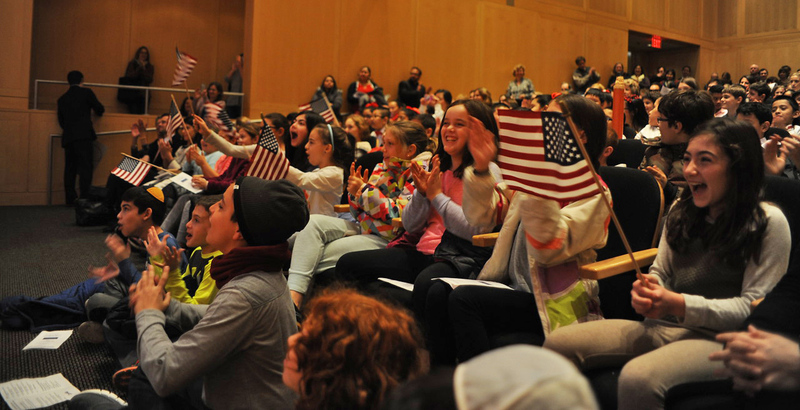 The audience watches the presentations of the Citizenship Challenge finalists. 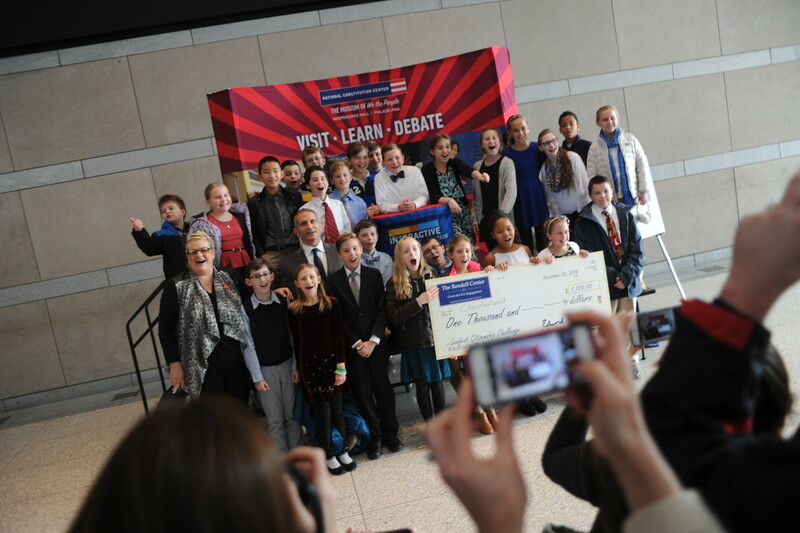 This year’s essay-contest question, presented by teams of students at the National Constitution Center on December 13, 2016, was: “Should the Constitution be amended to eliminate the Electoral College system for selecting the President and replace it with the national popular vote?” The competition was open to 4th and 5th grade students in public, private and parochial school classes and home-study programs in Bucks, Chester, Delaware, Philadelphia, and Montgomery counties. 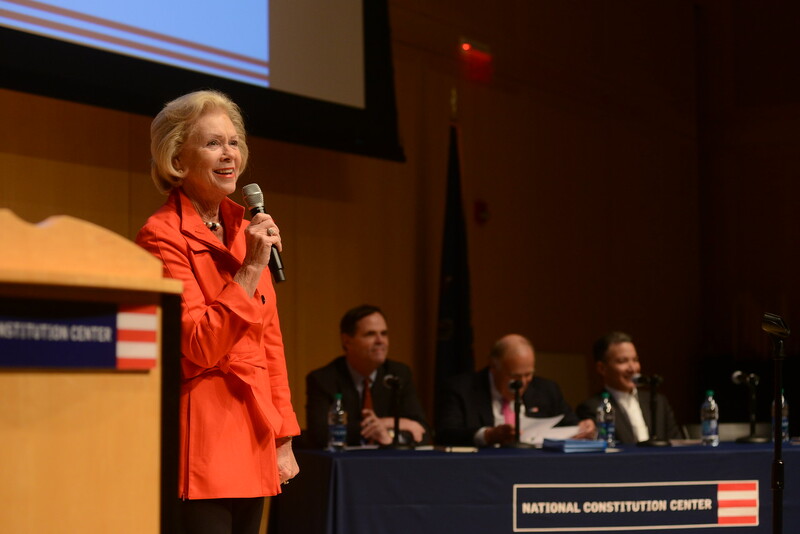 “Little did we know when we had you meet this challenge that it would be so meaningful in terms of the election,” Judge Marjorie O. Rendell, co-founder of the Rendell Center, told the students from 10 finalist teams gathered at the Constitution Center. While Democrat Hillary Clinton received a majority of the popular votes cast on November 8, Republican Donald Trump won in the Electoral College, and thereby won the presidency. 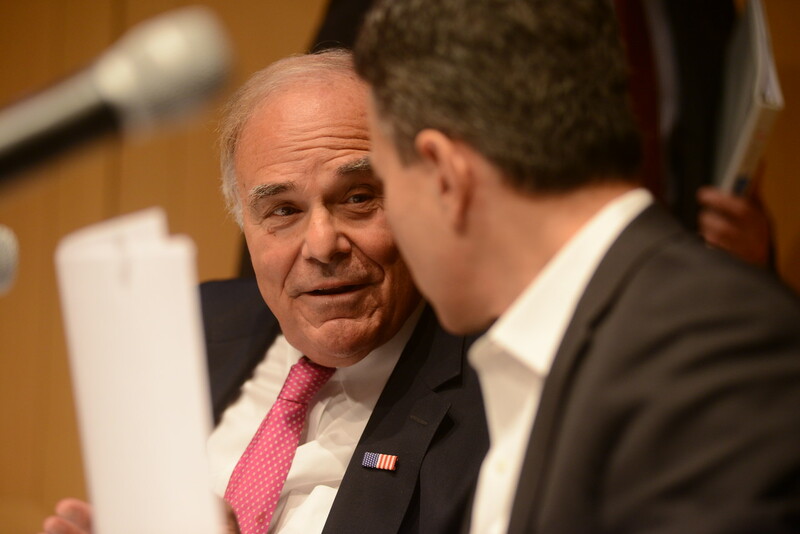 Judge Rendell was joined on the panel of contest judges by former Gov. 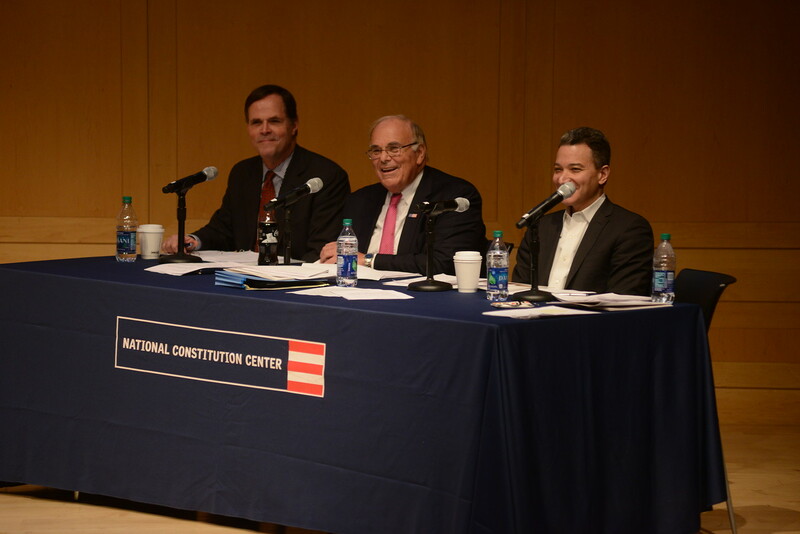 Ed Rendell, who also co-founded the Rendell Center; David Thornburgh, president and CEO of the Committee of Seventy; and Jeffrey Rosen, president and CEO of the National Constitution Center. 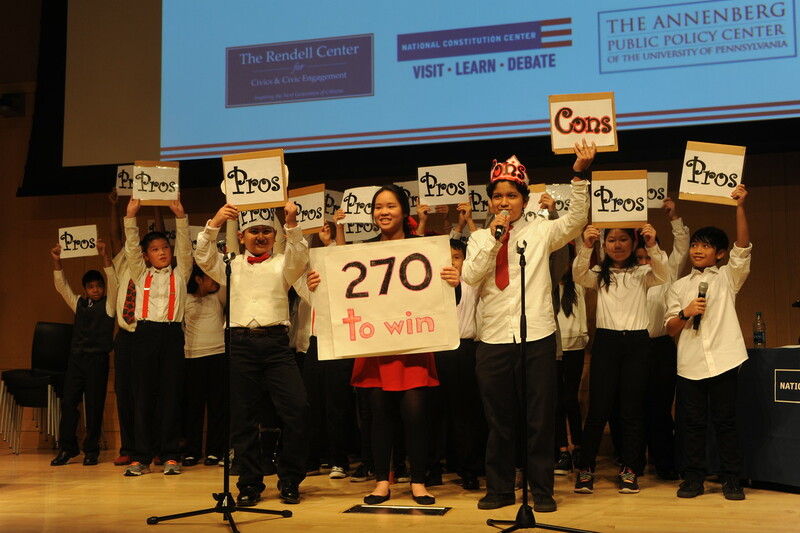 The Constitution Center and the Annenberg Public Policy Center co-sponsored the contest. 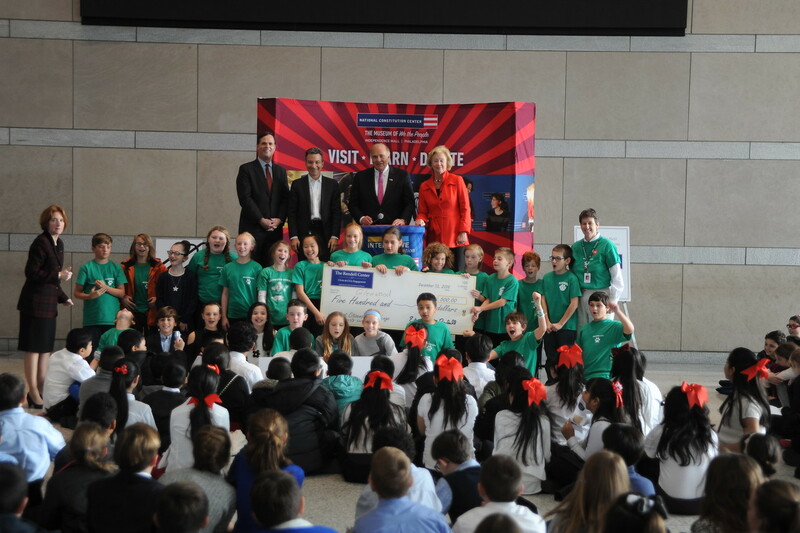 The grand prize winner ($1,000) was Ms. Natascha Doeller’s 5th grade class at Chestnutwold Elementary School, Haverford School District. 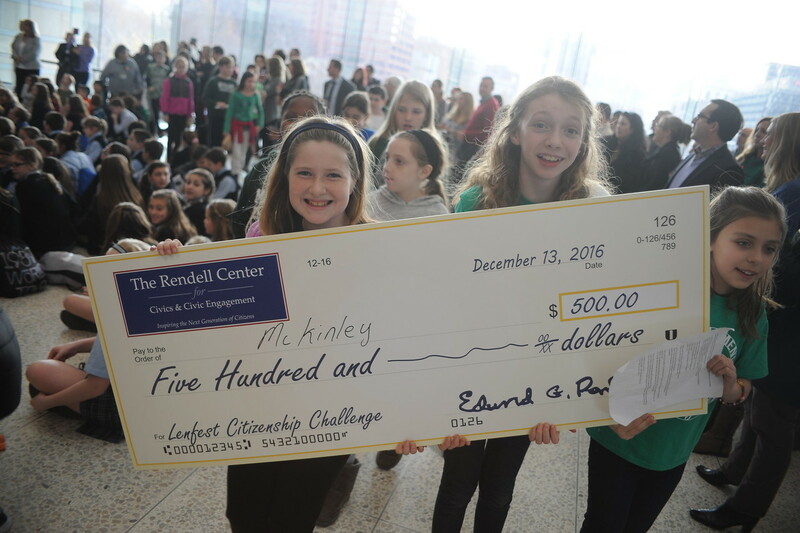 The runners-up ($500 each for a program that promotes civic learning and engagement) were: Ms. Rachel Pinsley’s 5th grade class at Glenwood Elementary School, Rose Tree Media School District; Ms. Lisa Yau’s 5th grade class at Kirkbride Elementary School, Philadelphia School District; and Ms. Colleen Murphy’s 5th grade class at McKinley Elementary School, Abington School District. All finalists also received a copy of the “We the Civics Kids” curriculum and a civics library for their schools valued at $250. The Rendell Center’s Beth Specker addresses the audience. 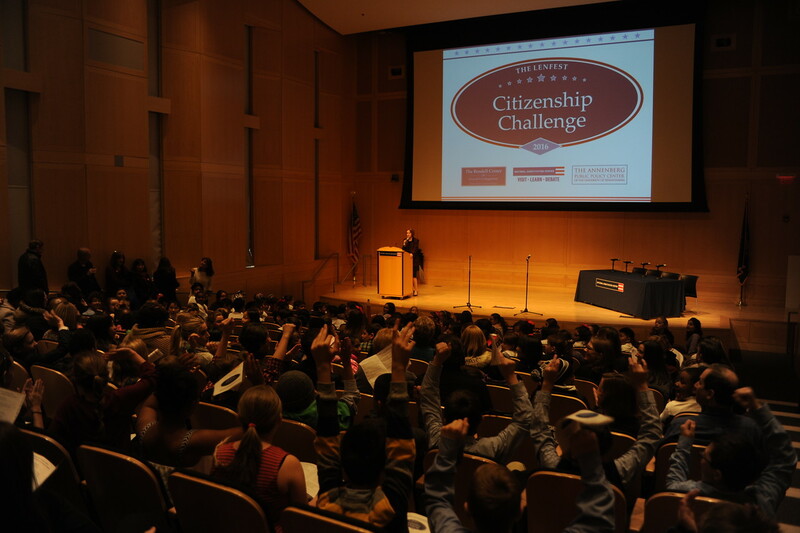 Judge Marjorie O. Rendell, and the other judges of the Citizenship Challenge. 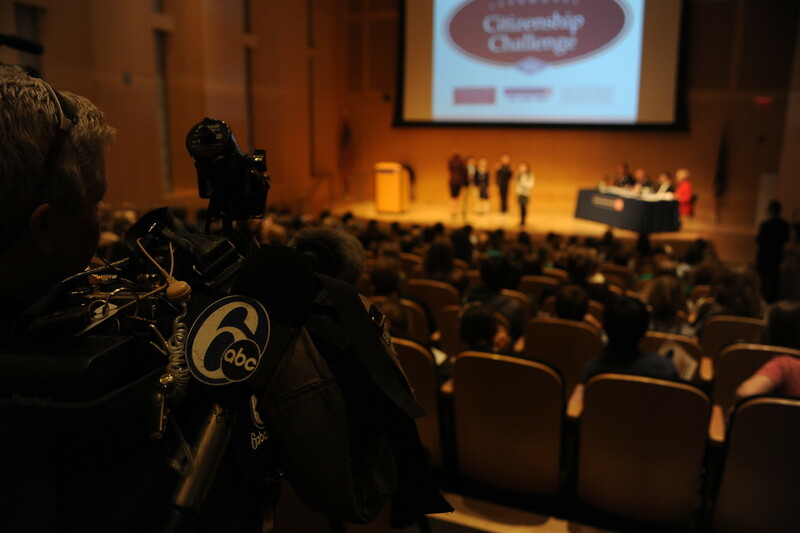 Citizenship Challenge judges David Thornburgh, Ed Rendell and Jeffrey Rosen. 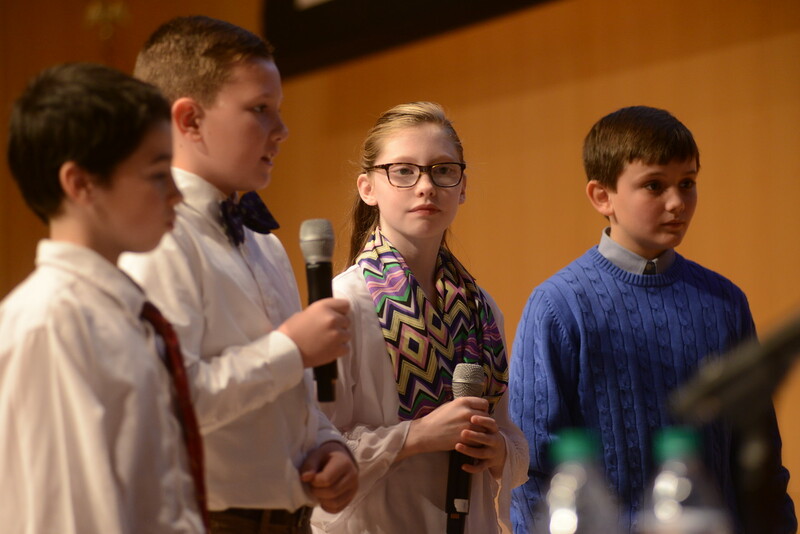 Students from Chestnutwold Elementary answer questions from the panel of judges. 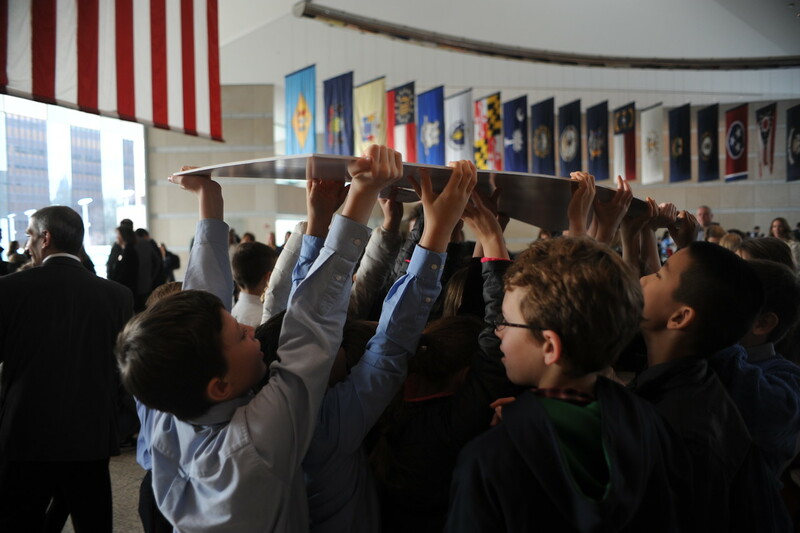 Video presentation from students of Chestnutwold Elementary. 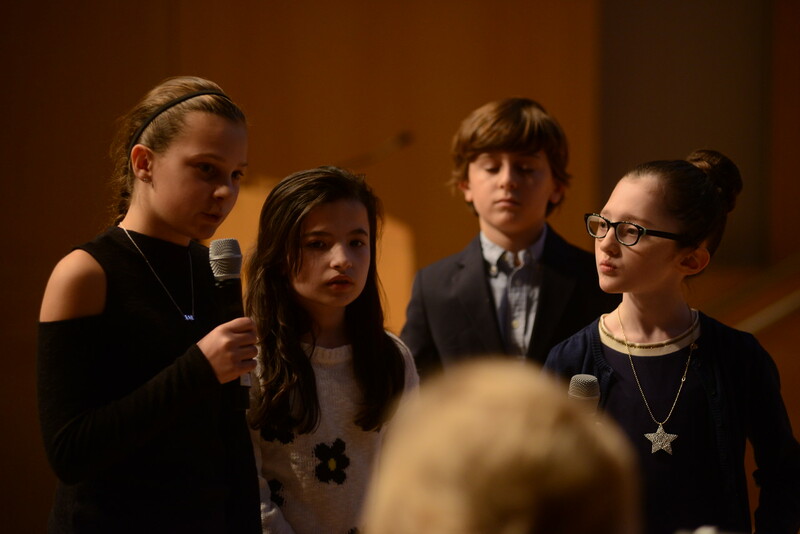 Students from Kirkbride Elementary present. Students from McKinley Elementary discuss their presentation with the judges. 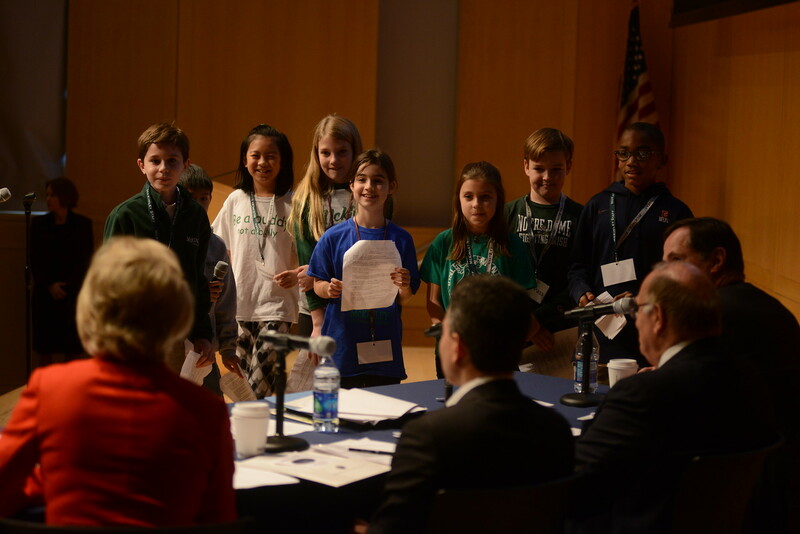 Students from Glenwood Elementary talk to the panel of judges. 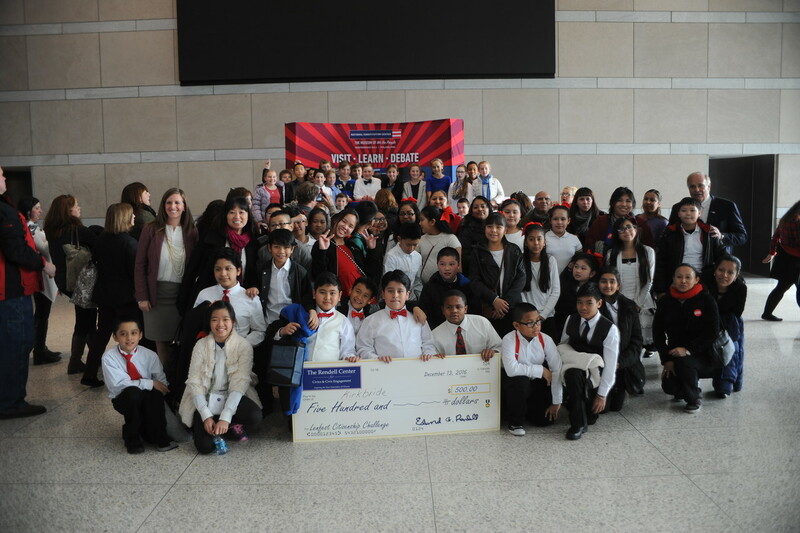 Grand Prize winner Chestnutwold Elementary. Camera crew from 6 ABC News films one of the presentations. Students from the 3rd runner-up team at McKinley Elementary show off their prize. Students carry their class’ winning check.